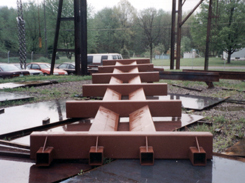 Located in Newton Falls, Ohio, Transco’s Rail Car Parts Fabrication Division is dedicated to providing standard and specialty freight car components and parts with an unsurpassed level of quality and customer service. 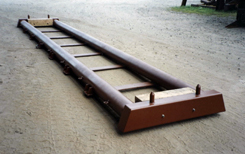 Transco offers a full line of fabricated car parts for most freight car types. Specialty fabrications are handled on an individual basis dependent on the specific needs of our customers. Our engineers work closely with the customer to establish specifications and component drawings. We develop our own shop detail drawings using he latest in CAD-CAM technology. We have established a strict quality assurance program that is committed to the highest industry standards. Our experienced craftsmen take pride in producing high quality components and delivering them on time. Whatever your specialty requirements may be, we welcome the opportunity to discuss them with you. Please contact us for more information.